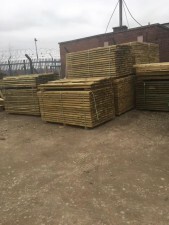 At SJS Fencing we offer a comprehensive, reliable and competitive service and aim to present all of our customers a genuinely personal fencing service from start to finish. We understand that everyone has their own personal preferences with regards to styles and heights and we let you decide the kind of fence you would like but of course we will always offer our experience and opinions on your choice and will help you every step of the way, after all a fence is something you only want to put up once! Having said this we don't just stick to the local communities and on many occasions through word of mouth have provided our services further a field e.g. Edinburgh & Glasgow where we are glad to say our local quotes were extremely competitive against city quotes. 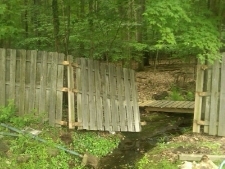 We can repair or replace your damaged fences and gates at extremely competitive prices. Written Insurance Quotes on request.